The Tour de France and Ashes cricket make us a little blurry. Advertising on Facebook may not pay off but it is a worthwhile test. Perhaps a Facebook advert for philipgreenwood.com.au to celebrate the new Woo Theme build. RedrockMicro make a range of gear for tripod mounts. iPhone 3GS mounted to a RC Plane. The first US TV commercial shot on the Canon 5D MK11. We get a look at the Olympus EP1 and a more detailed report may follow. Canon release a new Tilt Shift lens, the TS-E 24mm F3.5 L 11 review at DP Review. 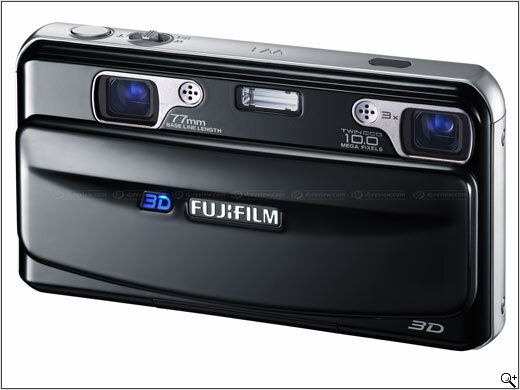 Fujifilm release a “Real 3D System” for shooting 3D stills and video. Zoom pocket camcorder with high quality microphones shoots SD ( Fail ) Samsung HMX-U10 1080p ultra Compact. 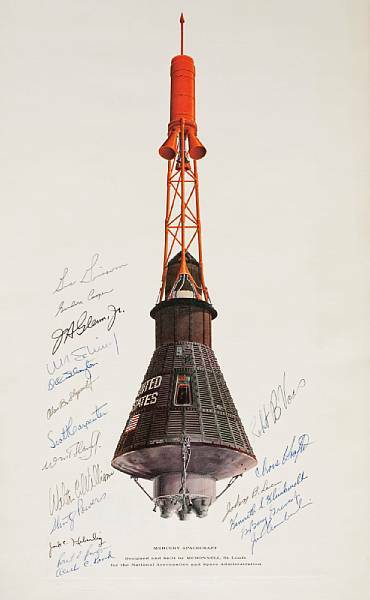 Auction of Apollo items. Mercury spacecraft looks the best. Photographer arrested for being too tall. Photography and the Law as it applies in relation to privacy and public places. iPhone 3G tethering with Telstra, Fail. 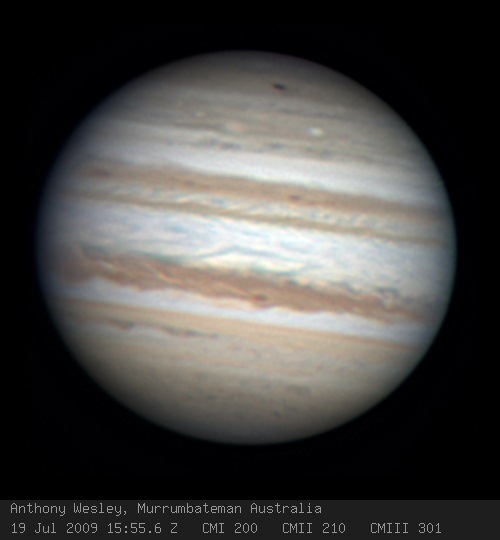 Anthony Wesley photographs the result of a collision with Jupiter. 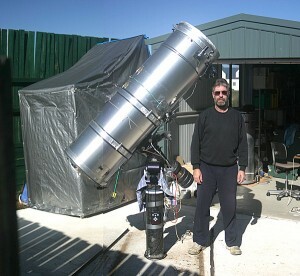 Read all about it on his site now here.